Wait. What do the Blues Brothers have in common with King David? The connection lies not simply in the fact that they are all musicians, says author Reggie Kidd, but in the reasons they sing in the first place. 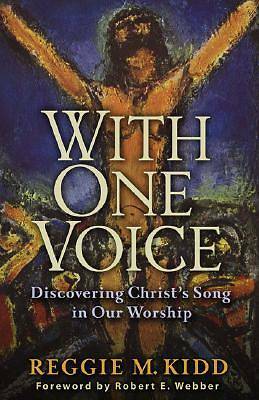 With One Voice examines the rich heritage of the music of God's people to show how song is woven into Scripture's story, carrying believers into deeper relationship with God and with his purposes in redemption. More than a mere ornament of worship, music brings the worshiper into the company of the Savior. Through this exploration of music and song, join Jesus as he sings the lament of Psalm 22 on the cross and then conducts the "great assembly" upon his resurrection. On the way, discover Christ in the voices of David, Paul, Bach, the Blues Brothers--and possibly yourself.